Looking for a Dacia Sandero Stepway for sale? 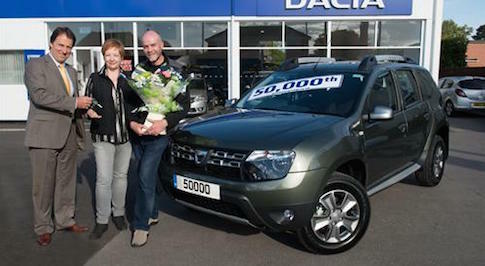 If you are interested in buying a new Dacia Sandero Stepway, then make the time to visit Bristol Street Motors. With great deals and offers on a range of new and used Dacia cars, we�re well place to make sure the new Sandero Stepway hatchback is affordable and within reach to everyone. In addition to great prices, we also have a transparent and hassle free approach towards the sales process, which removes any stress from looking for a new car. At Bristol Street Motors, we have excellent facilities and various finance options too, meaning you won�t find better Dacia Sandero Stepway deals elsewhere. There are plenty of reasons why the Dacia Sandero Stepway would be a fantastic purchase. This is a SUV-inspired version of the standard Sandero, which means you get a more rugged exterior, an incredibly spacious cabin and a large boot. The Stepway�s economical range of engines keeps running costs low, but still provides more than enough power for city driving and motorway stretches as well. When you come and see us at Bristol Street Motors, we will do everything we can to make the browsing and buying experience an enjoyable one. Although our staff are on hand to explain the finer details of cars like the Dacia Sandero Stepway, they can also talk through pricing and finance options too. So, for an unrivalled customer service experience, head down to a Bristol Street Motors dealership in your area, give the team a call, or make an enquiry about any of the vehicles we have online.